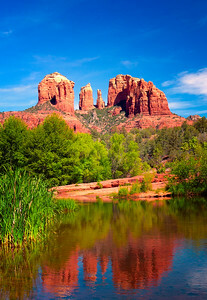 Landscape photography, for me, serves as a way of more deeply experiencing the beauty of God's creation—Earth. 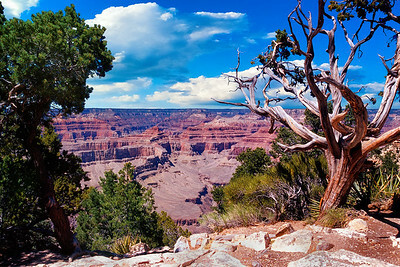 In these images I have tried to capture and convey not just what I see, but the emotion I feel about what I see in the scene. 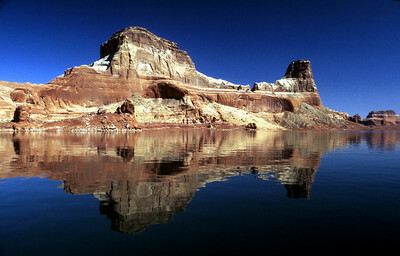 I hope that perhaps you will feel a little bit of that emotion as you view these images. 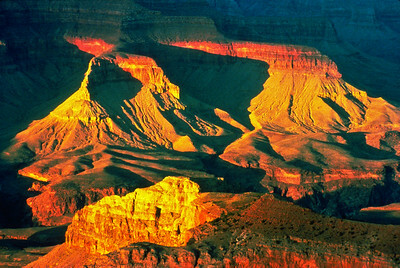 More scenic images, in color, can be viewed in the galleries for specific locations, such as in the Death Valley gallery. 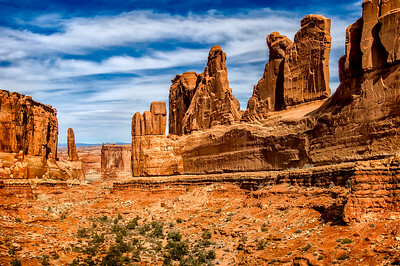 My monochrome (black & white) landscapes, done in the tradition of the early photography masters, can be viewed in the “Monochrome Landscapes” gallery. 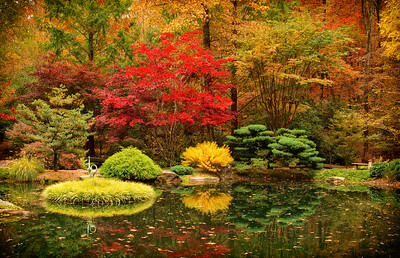 "Autumn in the Japanese Garden"
Vibrant autumn colors make for a magical time in the Japanese Garden of Gibbs Gardens in Ball Ground, Georgia. 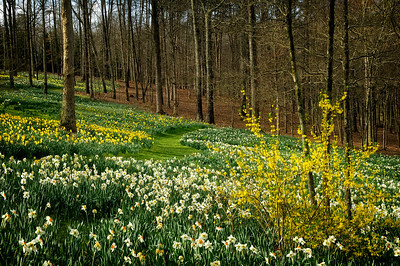 A pathway meanders through the early spring Daffodils, accented by a Forsythia shrub. 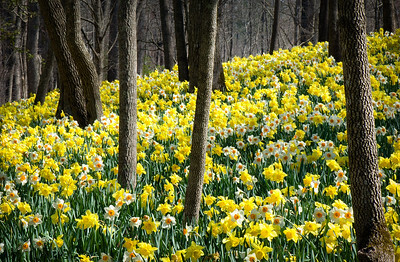 The Daffodils, over twenty million in all, are one of the first signs of spring at Gibbs Gardens in Ball Ground, Georgia. 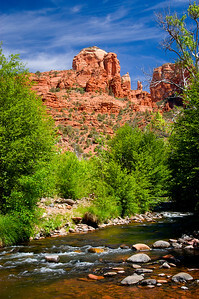 "A Walk in the Garden"
There is nothing quite like a walk in the Garden, with its wonderful peace and tranquility. 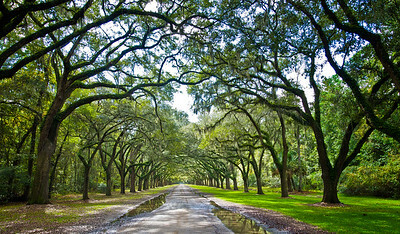 This garden is near the Manor House in Gibbs Gardens located in Ball Ground Georgia. 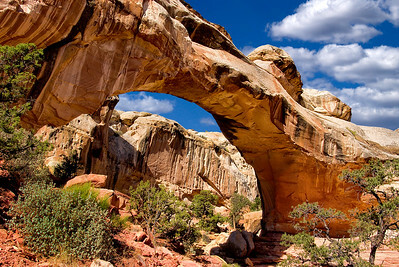 Double Arch in Arches National Park, Utah. 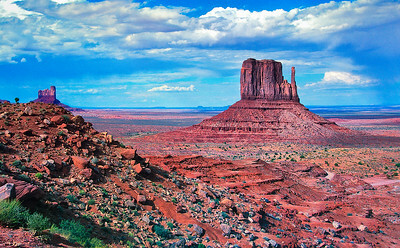 "Gathering Storm and West Mitten Butte"
The Gifford Homestead in Capitol Reef National Park, Utah. 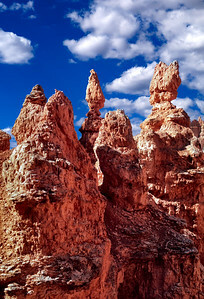 "Reflected Sun in Bryce Canyon"
Afternoon sun reflected off Hoodoos in Bryce Canyon National Park. 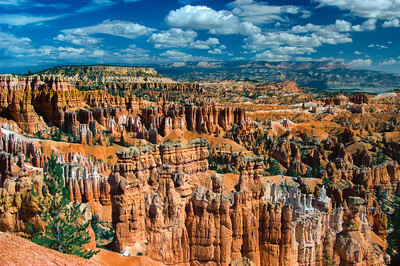 Utah. 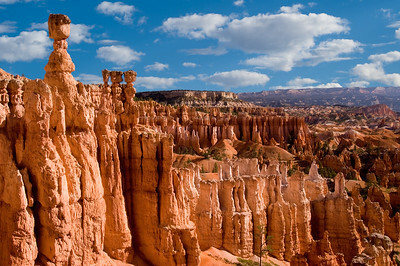 Hoodoos in Bryce Amphitheater with Aquarius Plateau in the distance - Bryce Canyon National Park, Utah. 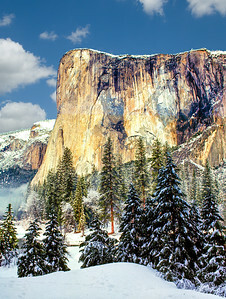 El Capitan in winter, in Yosemite National Park, California. 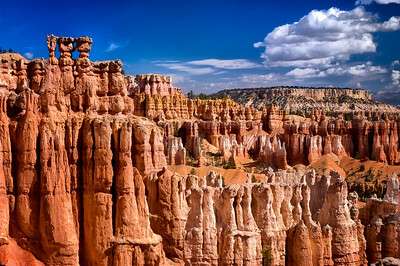 Bryce Amphitheater and Aquarius Plateau, Bryce Canyon National Park, Utah. 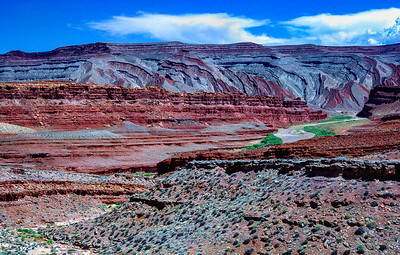 "The Green River in Canyonlands"
A desert wash leading to the Green River in Canyonlands National Par, Utah. 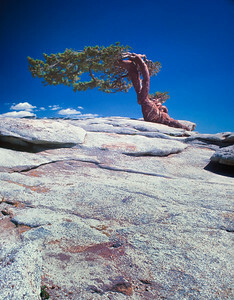 Jeffrey Pine on Sentinel Dome, Yosemite National Park in California. 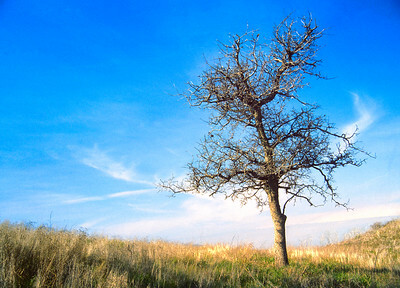 The tree died and is no longer standing. 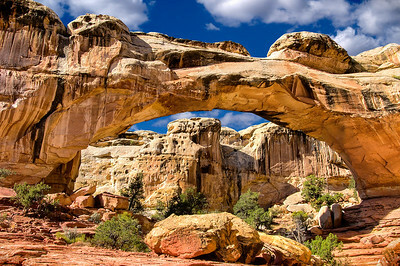 Sunset in Canyonlands National Park, Utah. 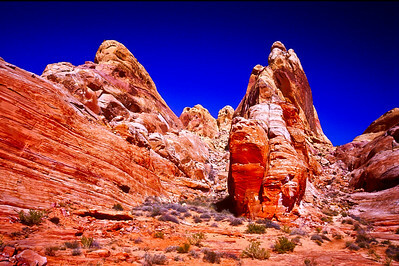 Fiery Rocks in Valley of Fire State Park, Nevada. 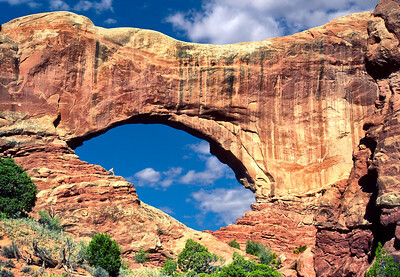 North Window in the Windows section of Arches National Park in Utah. 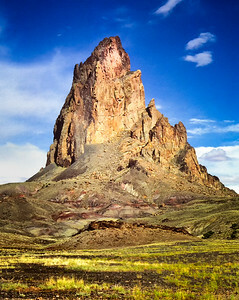 "Mitten Buttes in Late Afternoon"
A Lone sentinel near the Tehacapi Loop in Tehacapi, California. Redwoods and moss covered trees in Prairie Creek Redwoods State Park, California. 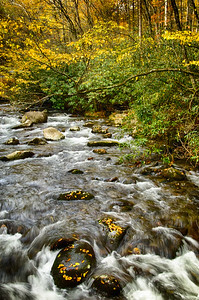 Oconaluftee River along the Newfound Gap Road in Great Smoky Mountains National Park, North Carolina. 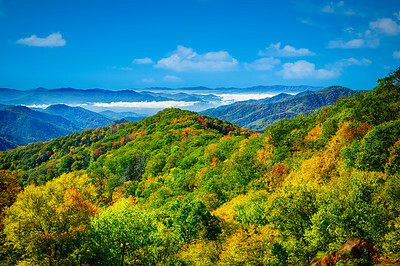 The view from Clingmans Dome overlook, in Great Smoky Mountains National Park. 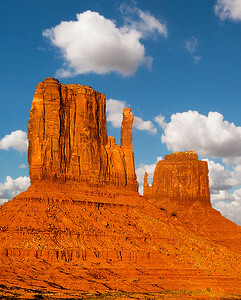 The persistent morning fog hanging in the distant valleys is the source of the name Smoky Mountains. 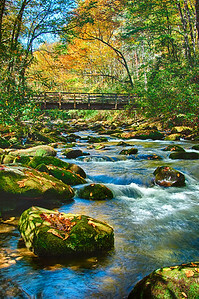 The Oconaluftee River and the Kephart Prong Trail footbridge, along the Newfound Gap Road in Great Smoky Mountains National Park. 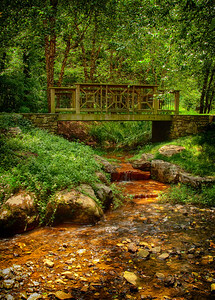 Brook and Footbridge locatred in Gibbs Gardens, Ball Ground, Georgia. 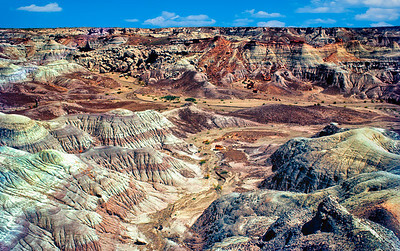 A dry wash in the colorful Painted Desert in the Navajo Nation, east of Holbrook, Arizona. 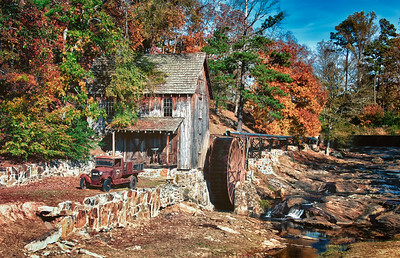 Gresham’s Mill in Holly Springs, Georgia in the fall of 2011. 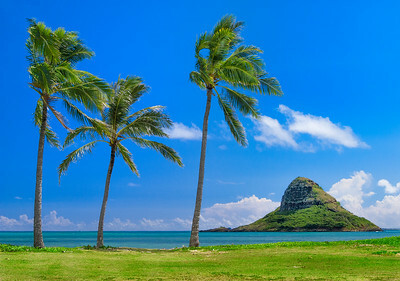 Mikoliil Island, called the "Chinamans Hat," near Kualoa Ranch off the shore of Oahu, Hawaii. 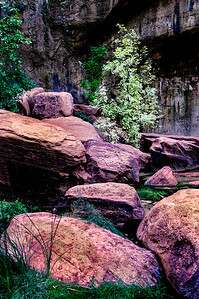 Pond tree and color laden rocks in Zion National Park, Utah. 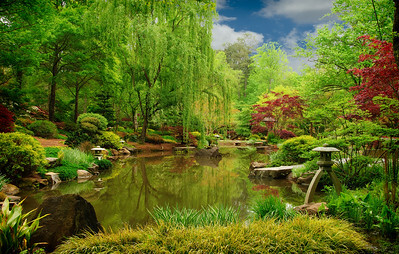 Spring in the Japanese Garden area of Gibbs Gardens in Ball Ground, Georgia. 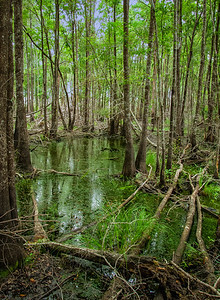 Fallen trees and algae covered black water in the Okefenokee Swamp in Georgia. 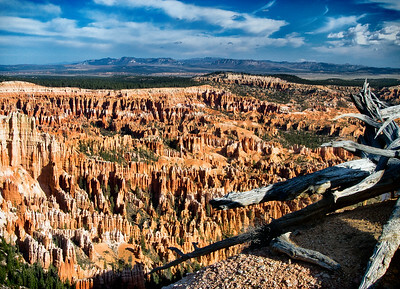 Bryce Amphitheater with Aquarius Plateau in the distance - Bryce Canyon National Park in Utah. This is just a very small section of spring Daffodils in Gibbs Gardens, located in Ball Ground, Georgia. 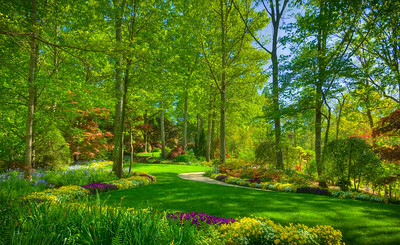 With over 20 million Daffodil blossoms, Gibbs Gardens has the largest display of Daffodils in the United States, and perhaps the world. 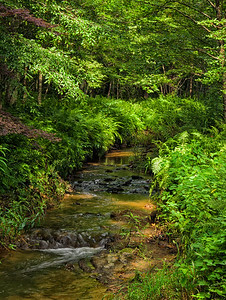 Dappled sunshine invades a quiet shaded brook in north Georgia. 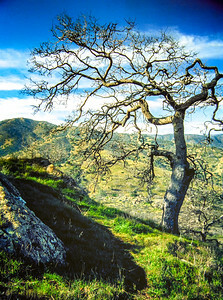 Mossy Tree along a hidden path in Prairie Creek Redwoods State Park, California. 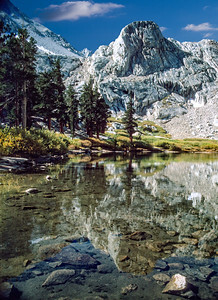 Mirror Lake at the timberline (11,600'), about half way up the 26 mile trail to the 14,496.8' summit of Mount Whitney in California. 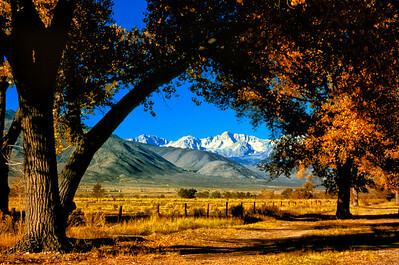 Remnants of the winter snows have lasted into September. 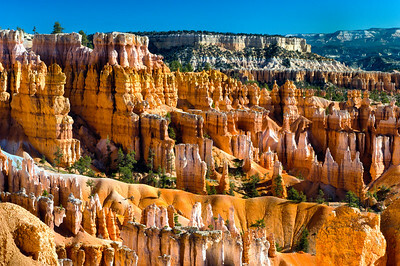 Thor's Hammer in the Bryce Amphitheater, with Aquarius Plateau in the background, in Bryce Canyon National Park, Utah.